8% of the total rent payable for the entire length of the tenancy stated in the tenancy agreement, payable at the commencement of the tenancy. 10% of the total rent (payable monthly) for the entire length of the tenancy, extension or continuation as stated in the tenancy agreement. Rent guarantee & legal cover. View our full Landlord pack. A holding deposit of £300 will enable us to remove a property from the market for 10 days whilst reference checks etc are carried out. This is not refundable should you change your mind or not pass the referencing. If the landlord decides to change his mind then the full amount will be refundable. Every tenant over the age of 18, whether they are on the tenancy agreement or not, will be required to be reference checked. The charge for each reference is £95.00+ VAT per person, payable before the reference is submitted. A charge is made for a Tenancy Agreement this amounts to £100.00 + VAT payable with the first month’s rent and deposit. An administration fee of £150+VAT is payable along with the holding deposit. This is a non-refundable fee to cover costs of the process. Identification of each tenant will be required. A copy of the passport/ driving licence and a utility bill or bank statement will need to be taken. Before a tenant can move into a property the full moving in monies must be in our account in cleared funds. Cheques will need to be presented to us at least one week prior to move in. For let only properties it is the tenants’ responsibility to ensure that the local authority, utilities and television licensing are informed of the dates of move in and meter readings if applicable. The Address will not be responsible for any unpaid bills during the tenancy. For managed properties The Address will write to the local authority, utilities and television licensing and inform them of the dates of move in and meter reading if applicable. The Address will not be responsible for any unpaid bills during the tenancy. NB Some local authorities and utility companies require notification from the tenant direct. The tenant is responsible for payment of rent into the correct account and at the correct time. Non payment of rent can result in eviction. 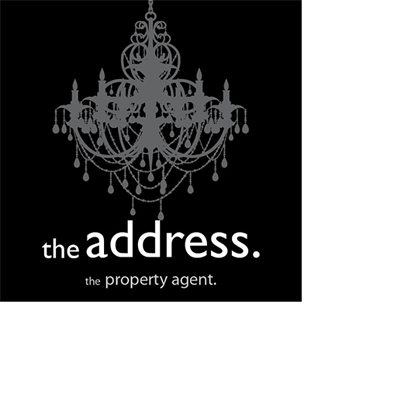 Let only properties- We will provide you with the contact details for your landlord. Any queries, emergencies etc will need to be dealt with by your landlord unless otherwise agreed. Managed properties- We will give you a dedicated mobile number for out of hours emergencies only. During office hours one of our dedicated staff will be able to help. Towards the end of the tenancy your landlord will be contacted to see if the tenancy can be renewed. If this is something agreeable to both parties a renewal can be arranged. The cost to the tenant is the cost of a tenancy agreement. An invoice will be raised and sent to you. Tenants should consider taking out insurance for the contents within the property and when in a flat to insure against damage to other properties from escaping water. Please ask for a no obligation quote.